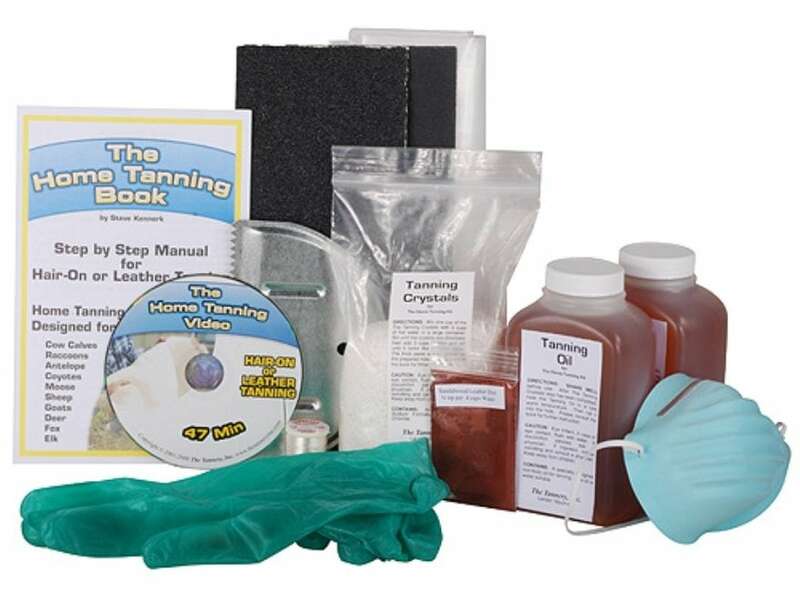 The Complete Home Tanning Kit has everything that you will need to tan your predator, deer, elk, or even cow hides at home. The step-by-step instructional video will walk you through the process of tanning your own hides ensuring that you have a hide that you will be proud to show off. All chemicals in this kit are Non-Toxic and Bio-Degradable. The complete kit also contains a book with formulas for tanning multiple types of hides and furs and there is enough material in the kit to tan two deer hides or one elk hide.